Number of companies with promoters' pledged holding has been rising over the past two months, a phenomenon hardly visible in the 9-10 months before this period. Number of companies with promoters' pledged holding has been rising over the past two months, a phenomenon hardly visible in the 9-10 months before this period. Data available on the BSE website, which provides the information every month, reveals that since the month of May 2017, the volume of companies with promoters' pledged holding have either remained at same levels or have declined till January 2018. In the past two months, however, there was a trend reversal with 83 more companies with promoters' pledged holding - February added 71 and March had an addition of 12 companies. 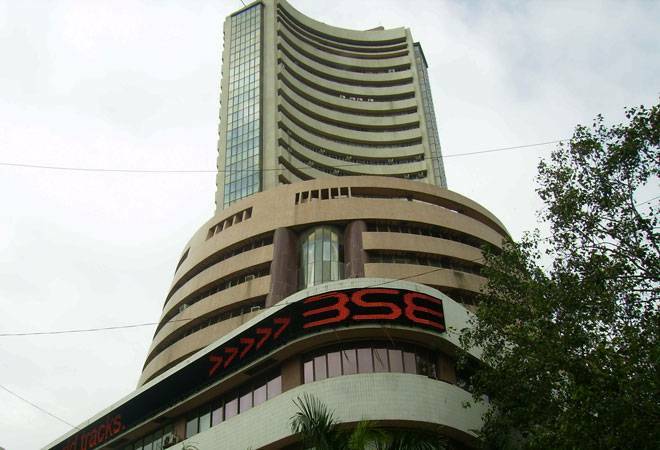 Pledging of shares was seen in 3,074 out of 5,035 BSE-listed companies as on March 2018. Amid falling markets, though, there was a decline in terms of value. The value of shares pledged by promoters dipped around 6 per cent, from Rs 2, 53,798 crore in February to Rs 2, 39, 611 crore in March. It declined around 7 per cent in February. The markets fell around 3.2 per cent and 5 per cent, respectively in the past two months. In January, the value declined sharply -- around 10 per cent -- compared to the preceding month, primarily due to the fall in the number of companies with promoters' pledged holding. 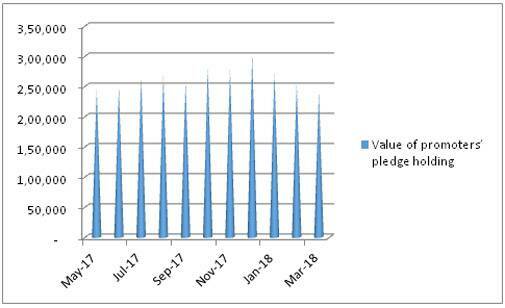 High pledging levels are not considered as a healthy attribute by investors. Promoters of three companies pledged 75-90 per cent of their holdings in February which reduced to zero in the following month. However, 81 firms saw 50-75 per cent of their promoters' holding worth Rs 28,255 crore, compared to 78 firms in February. 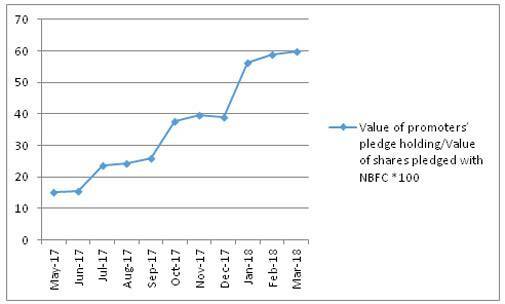 It was interesting to note that the ratio of value promoters' pledged holding to value of shares pledged with non-banking financial companies (NBFC) have increased significantly to around 60 per cent in March from 39 per cent in December 2017. Share pledging is done by promoters to raise funds with financial institutions as collateral for loans. And as per the Reserve Bank of India guidelines, a loan-to-value ratio of 50 per cent is required to be maintained. All NBFCs with asset size of Rs100 crore and above should report on-line to stock exchanges information on the shares pledged in their favour by borrowers for availing loans.